We’ve grown used to Arsène Wenger’s deeply philosophical musings as revealed in interviews over the years, and we’re glad to say that this fount of wisdom shows no signs of stinting even though he’s no longer managing Arsenal. And for a man who was so famously, singularly obsessed with soccer, who expressed an intense existential dread about the prospect of retiring, Wenger’s time away from the game actually sounds pretty chill. 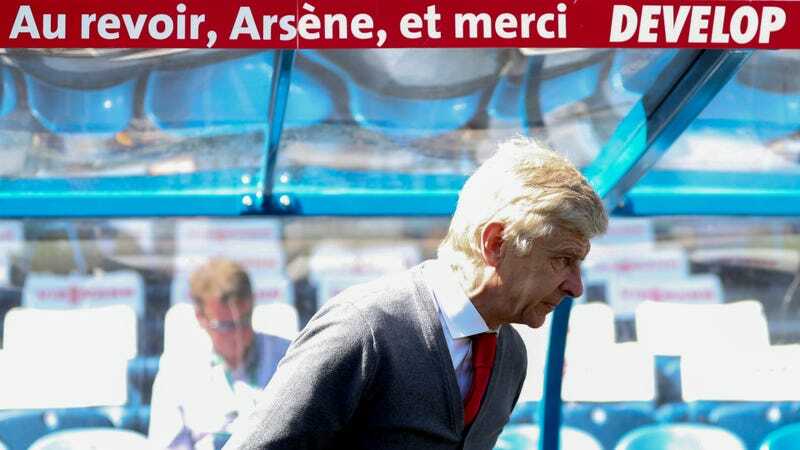 Wenger has chosen to spend some of his post-Arsenal days in one of his favorite vacation spots: Corsica. Corse Matin, a local Corsican paper, caught up with the 68-year-old for an interview which has been helpfully translated by Get French Football News. In it he discusses what it’s like to be away from the game (a break which he describes as “rehab”), what he does in his free time (play sports, read Philip Roth novels, stare at the sky for hours on end), and when he’ll decide on his next move (very soon now). Even better than I thought. When you have been as busy as I have been, you always fear a little emptiness. But I quickly organised myself in this new stage of my life, I do a lot of sport, here I eat with my friends. I talk a lot too, I can sit for hours contemplating the horizon, I read everyday, right now a book by Philip Roth called I Married a Communist. Would you like to make a radical change of direction, for example, become an archeologist as you like history, or go for a career in politics? For archeology, I do not know enough about soil compositions. Nor politics. What I like about the job of a manager, is that we have theories, but on Saturdays we have to show that they work and the result is immediate. In politics, between theory and proof by demonstration, things take a lot longer. Pride has never been my strong point. Proud, in any case, to have always worked with values that were important to me, respect for people, professionalism, integrity, a sense of responsibility. I’m not stupid enough either to think that I did not make mistakes and there, we enter the field of some regrets I might have. On the other hand, I have no remorse because I have stayed true to the values that are important in sport, especially in high performance sport. It reflects above all consistency in effort and concentration, the fact also that I committed myself fully and thoroughly to this club. Ideally, for me, a manager should have an influence on player improvement, style of play and results, the club’s structure and size. In general, this influence can only be effective depending on how long you are there and how much power you have in the club. Yes, he wants to do it, he is intelligent and he has the qualities. The existential question that we always ask ourselves is whether we are ready to sacrifice our life for the coaching profession. Do you feel like you sacrificed your life? Yes of course. Being passionate is selfish work. When you are passionate, you steal your time from those whom you love and to whom you could have given much more. I would prefer be alive than be a statue, but the idea was nice. I decided not to decide. I was intoxicated for such a long time that I promised myself not to make any decisions before September. Earnie: Get this man on he horn as soon as possible. If U.S. Soccer doesn’t promise Wenger free rein of the entire American soccer set-up and a faculty position in Harvard’s philosophy department in an attempt to convince to manage our team, then they aren’t serious about making us great. Arsène Wenger: Oh God, What Was I Doing At Arsenal For The Last 22 Years?